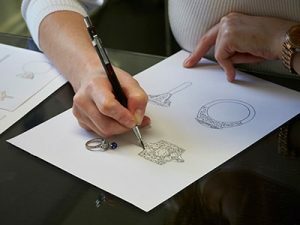 With more brides than ever favouring custom-made engagement rings, the trend for contributing to your ring design has gone one step further – couples can now get involved in creating their own wedding rings! When business owners Lars and Susie Larsen were planning their own wedding, they wanted to help create each other’s wedding rings. However, with no jewellers in Australia offering couples this service, they did the only thing possible – they gathered a team of talented jewellers and designers. Now Larsen Jewellery, based in Melbourne and Sydney focuses on custom-made rings while also specialising in classic engagement rings for brides wanting ready-to-wear jewellery. 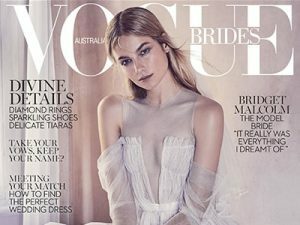 With studios set to open in Brisbane and New Zealand, more and more couples will now have access to the custom process. “We like to sit with our clients and listen to their needs, then custom make a piece just for them”, explains Lars. Larsen Jewellery also encourages couples to roll up their sleeves and join in, guided by an experienced jeweller. After four hours, voila! Two wedding bands, handmade by you as perfect as if they’d been made by a professional jeweller. “You can have the wedding date engraved inside and we often get asked to engrave secret messages, names and lines of a song”, Lars tells us. 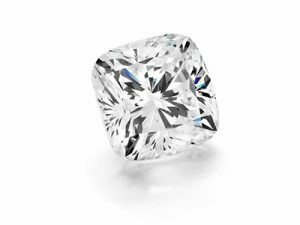 And if you don’t want to compromise on a fancy finish, diamond, other gemstones and speciality finishes can be added by the professionals after you’ve made the basic rings. Packages start at $1,400 for the pair of rings, and the jewellers can quote you on any special finishes you’d like to add. For more information about creating your own rings visit our Wedding Rings page.